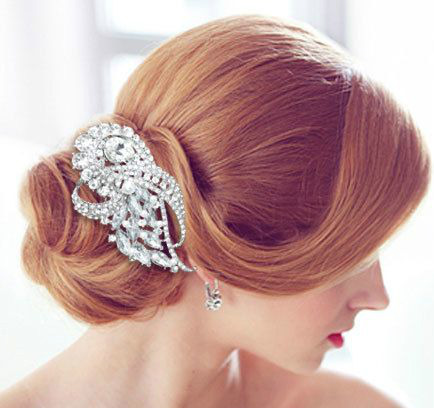 Categories: Bridal Collection, Hair Accessories. 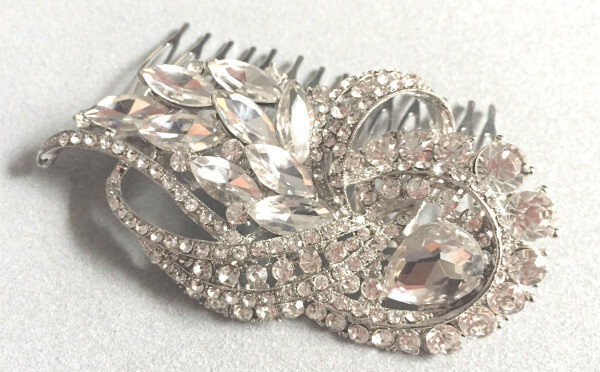 Tags: bridal, crystal, floral, haircomb, rhinestone, Vivienne, wedding. Add a touch of elegance and sparkle to your hair with our Vivienne chic rhinestone crystal hair comb. 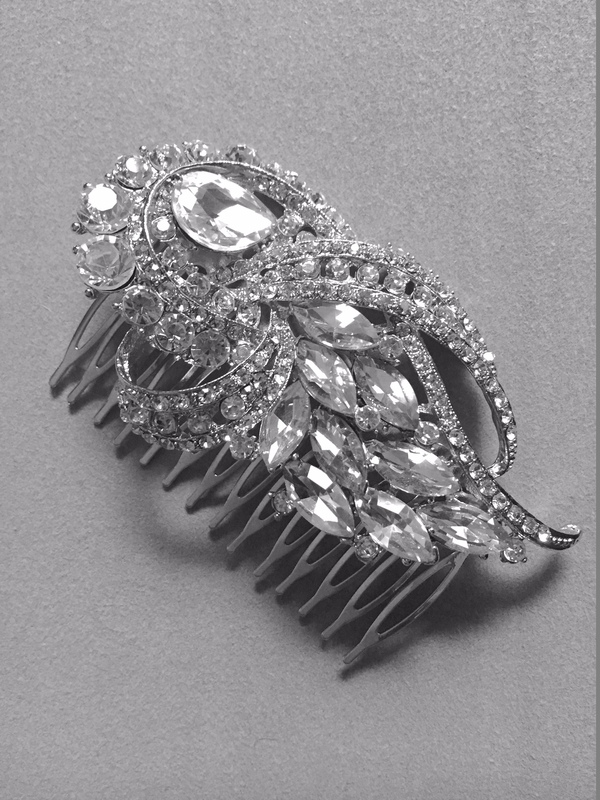 Its art deco motif brings us back to the 1920’s era where geometric and architectural designs entertwined with romantic flourishes make this gorgeous hair piece a perfect statement to top off your wedding day. we will accept returns for either a full refund or replacement of item of same or equal value. Items may be returned up to 15 days after receipt. Returned items must be in its original condition, unworn, unaltered, and include any labels and tags that it arrived with. Please note that the return shipping costs will be responsibility of the customer. Return shipping costs will be responsibility of the customer. Urban Diva currently ships to address only in the United States and Canada. We use USPS to ship all orders. Please refer to our Shipping Information page for details. Double strand crystal headband. Headband ribbon is available in white or ivory, please choose an option below.